Let nature be your neighbor! 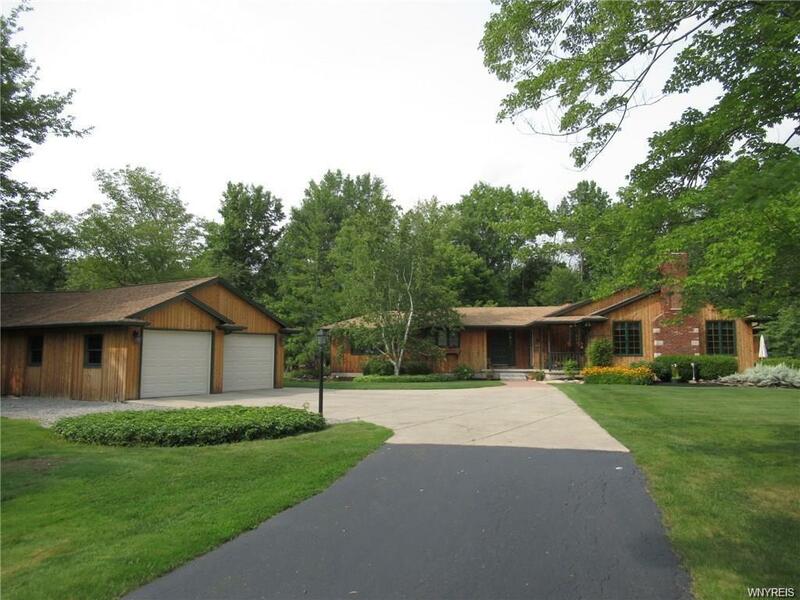 This welcoming 3 bdrm 2.5 bath Ranch is situated on almost 12 acres of wooded wonderland. Country kit w/an abundance of cabinetry & brkfst bar. French drs to formal DR w/WBFP, 9 ft ceiling, wall of windows & sldg dr to enclosed deck w/vaulted ceiling & skylights. Beautiful office w/hrdwd flring, 9ft ceiling, custom blt-in cherry cabinets & sep entrance. Great rm has french dr from kitchen, vaulted ceiling, WBFP, hrdwd flring, bookcases & window seats. Mstr bdrm has hrdwd flring & updated full bath w/tile shower & ceramic flring. Full bsmt. Detached garage w/'party rm' for those outdoor gatherings. 200 amp electric. Multi-zone hot water baseboard heating & A/C. Paver patio & deck w/blt-in BBQ. Above ground pool w/deck. Playhouse. Covered front porch w/skylights. Six panel drs. Updates thruout. Natural wdwrk. Updates: Utility pump, sump pump '18, A/C '17, HWT '15.